1. You aren’t following people back. If you are a celebrity like Ashton Kutcher you can afford to do that, but if you aren’t famous you’d better follow people back. When great entrepreneurs like Guy Kawasaki follow anyone back, why wouldn’t you? 2. Twitter is deleting spam accounts; 2…20% of your followers are actually automated accounts that have a single purpose: to make you click that link and get somebody some money. The Twitter guys weed them out from time to time (mostly during weekends, but it can happen anytime). 3. Your posts aren’t very interesting. If all you do is post stuff like “I just ate steak”, everyone (excepting your mom) will press the “unfollow” button sooner or later. 4. You don’t get involved in the conversation. If you see an interesting article, retweet it and talk about it! Answer all the @yourname questions, comments, etc. Be friendly with these people – they want to talk to You! 5. Other people follow you, and then unfollow you quickly because they are trying to build a big follower list as fast as possible. Don’t worry about losing them; they didn’t like you and they won’t go too far with this tactic. 6. You are over promoting your website. Yes, this includes you, who are sending countless direct messages each day, trying to promote your products or services. 7. You curse / swear – that’s bad on Twitter. Also, don’t forget that what you say leaves permanent trails on the net and might get you in trouble when you’ll be looking for a new job. As you can see, there are some things that can be done in order to minimize the follower loss, but no matter what you do, you’ll still have some people unfollow you every now and then. The best cure to this problem is to get new, high quality followers of a regular basis. Resist the temptation to purchase automated software, which will follow random, spammy accounts most of the time; you are going to get much better results and reach a targeted audience by using the 100% free, ethical methods listed below. 1. Tweet often, posting links to great content in your industry and fun / interesting / controversial stuff. 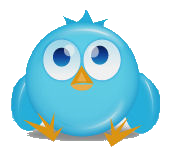 If your tweets are interesting, more and more people will want to follow you. Don’t forget to return the favor by following them back, of course. 2. Use hashtags whenever it is possible; this way your tweets will show up in the search results more often, thus increasing your chance to be followed by others. 3. Create a fantastic report, lock it behind one of your website pages, and then give it away for free to the people that follow you on Twitter. It doesn’t have to be an industry-related report, though – any great freebee will do the job perfectly. 4. Post links to your Twitter account on your website, your blog… actually, post the link wherever it is possible to do it without being considered a spammer. I’ll post a link to my Twitter account right here, in case that you want to follow me. 5. Add yourself to as many Twitter directories as possible. Start with WeFollow (probably the biggest one) and find more similar directories by searching Google for “twitter directory” (without using the quotes). 6. Use Twitter’s search box on a daily basis; input the desired keywords, and then follow the people that look like your target audience – some of them will follow back for sure. 7. Become friends with people that have a big number of followers, and then ask them to recommend you to their followers by posting a link to one of your great blog posts, etc. Don’t forget to choose industry-related influencers, though.